This is a classic 50s diner feel; small spot in a historic town, with either booth seating or counter seating. 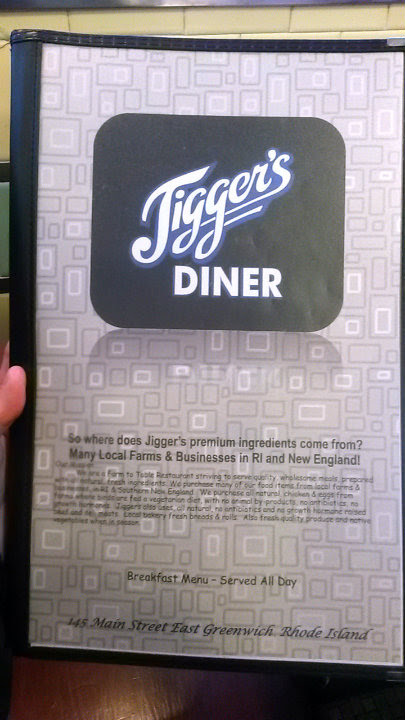 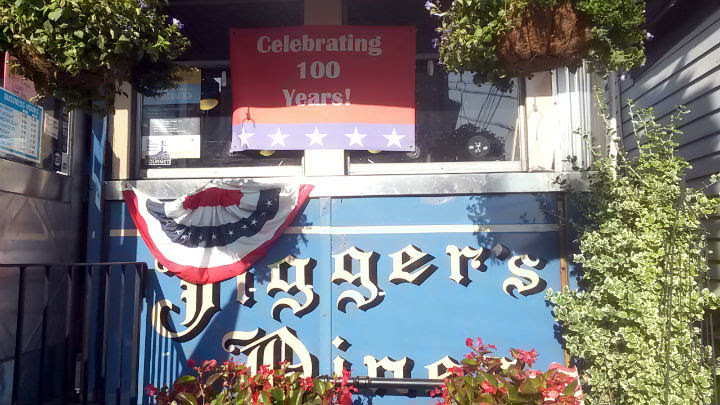 Jigger's has been open for 100 years, surviving closures in 2010 and again in 2011. 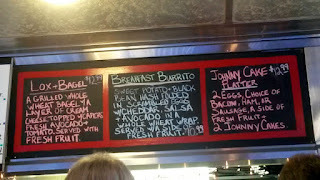 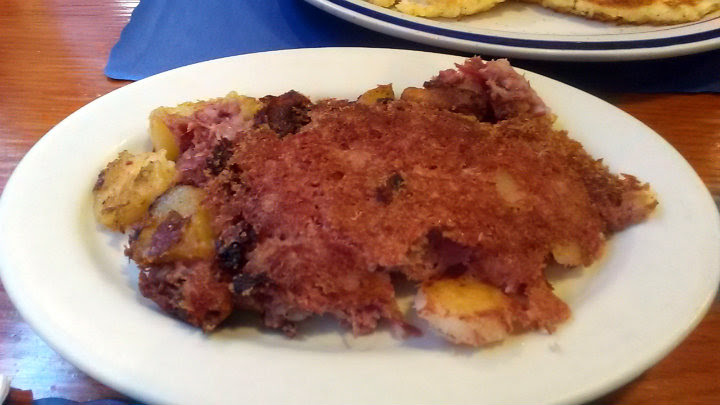 The new owners kept the main staples, such as johnnycakes and homemade hash. 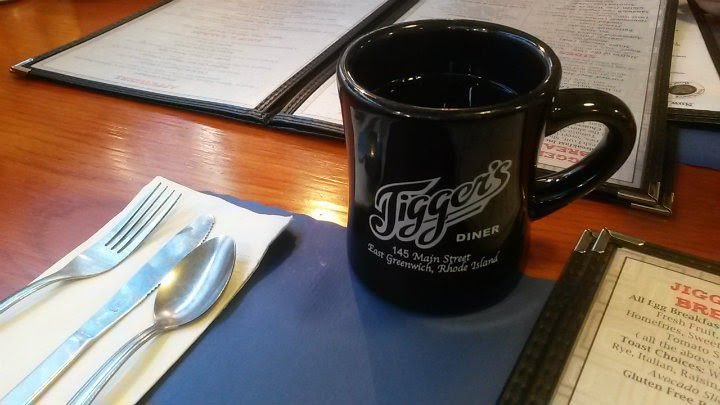 Breakfast is served all day. 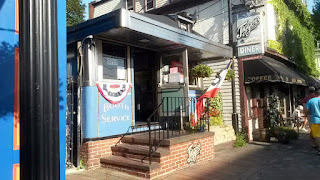 Lunch includes burgers, chowders, salads, and grilled paninis. 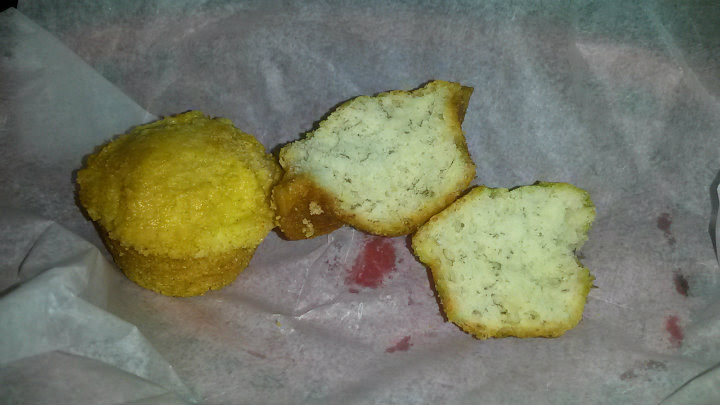 I started with some good coffee, and the server brought out some small muffins. 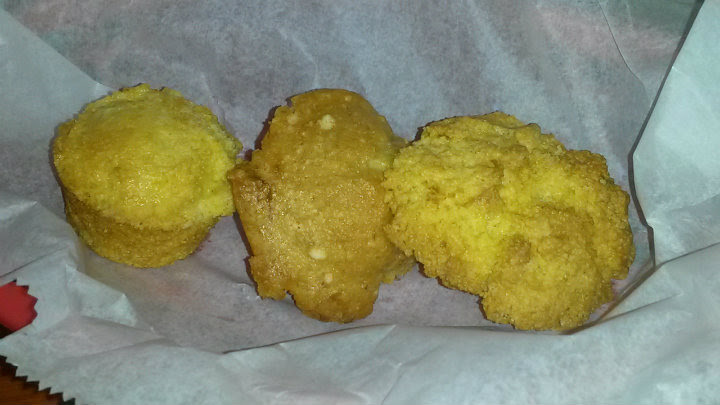 While I thought they'd all be the same, they each had a different flavor and/or texture. 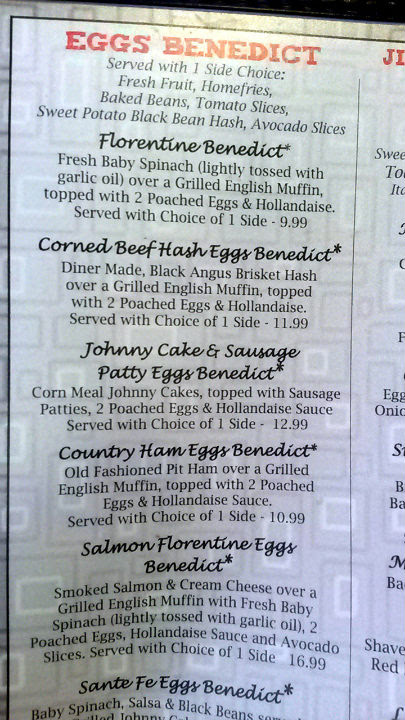 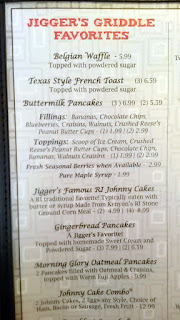 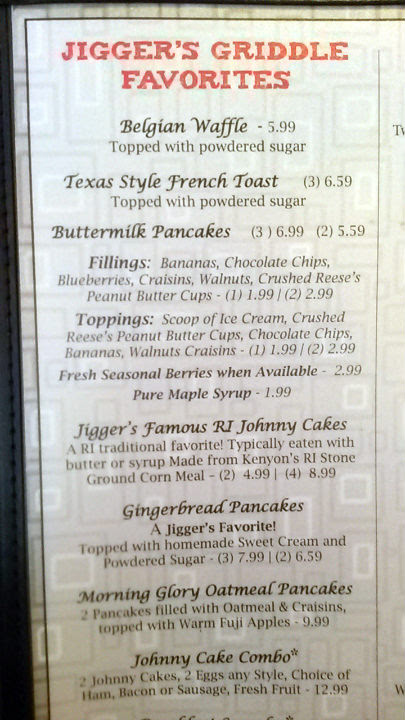 Of course, I wanted to try the johnnycakes, basically cornmeal flatbread that could otherwise resemble a pancake. 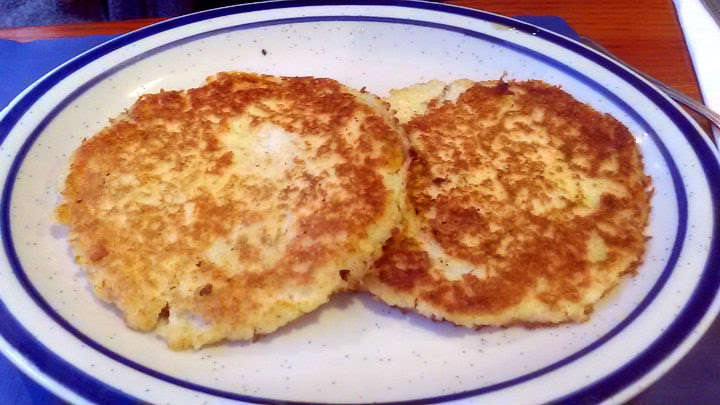 It starts as a gruel and fried up, leaving a soft gruel texture on the interior. 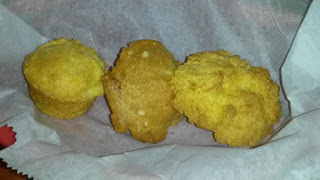 They are also found in Jamaica, the Dominican Republic, and Puerto Rico. These were fine, although not generally my cup of tea. 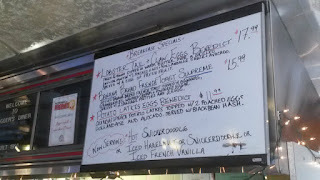 I even tried it with syrup, but perhaps I'd leave them as a somewhat more savory item. 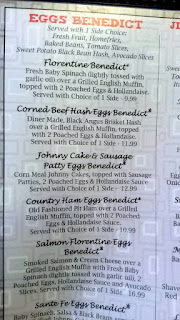 The homemade hash here was excellent. Cooked to a crisp outside and maintaining a creamy inside, t reminded me a bit of my late grandmother's corned beef hash (although my grandma would make them into round patties). I'd totally get this again. 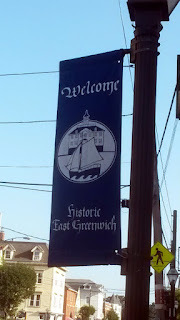 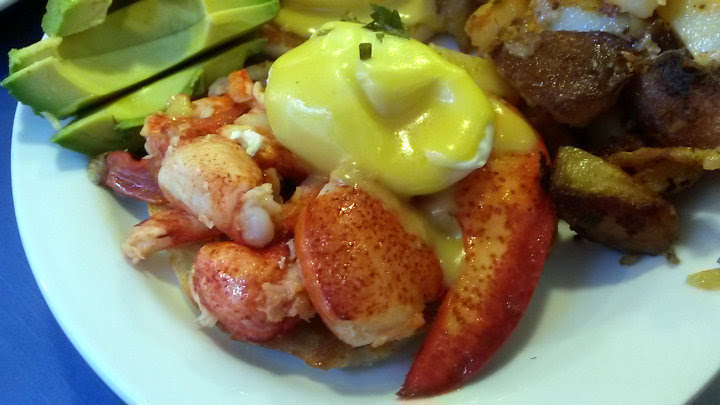 Because I was in New England, I wanted another seafood benedict. 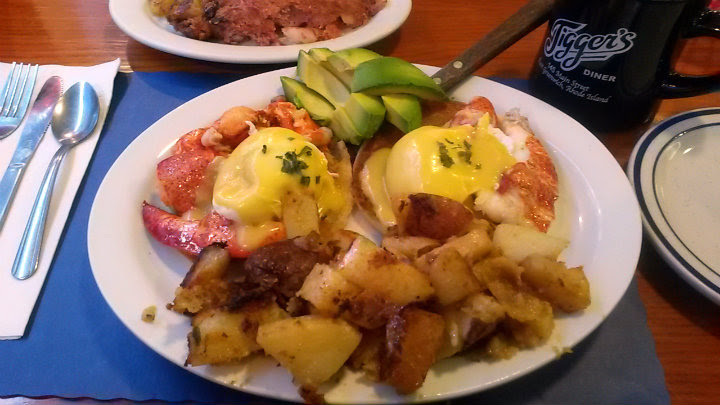 The Lobster Tail and Claw Eggs Benedict ($17.99) featured a generous helping of lobster, home fries, and sliced avocado. 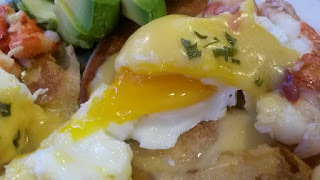 Properly cooked poached eggs here. 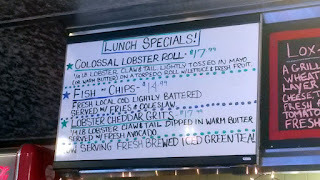 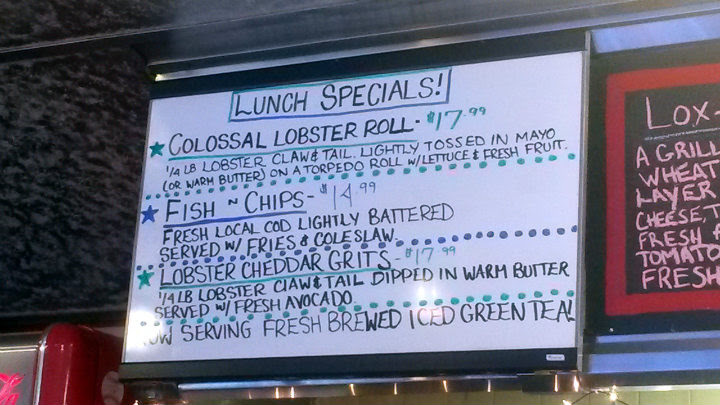 This dish may not have beaten the Ugly Mug Diner's crabcakes, but hey, when in New England, enjoy all the seafood, right?